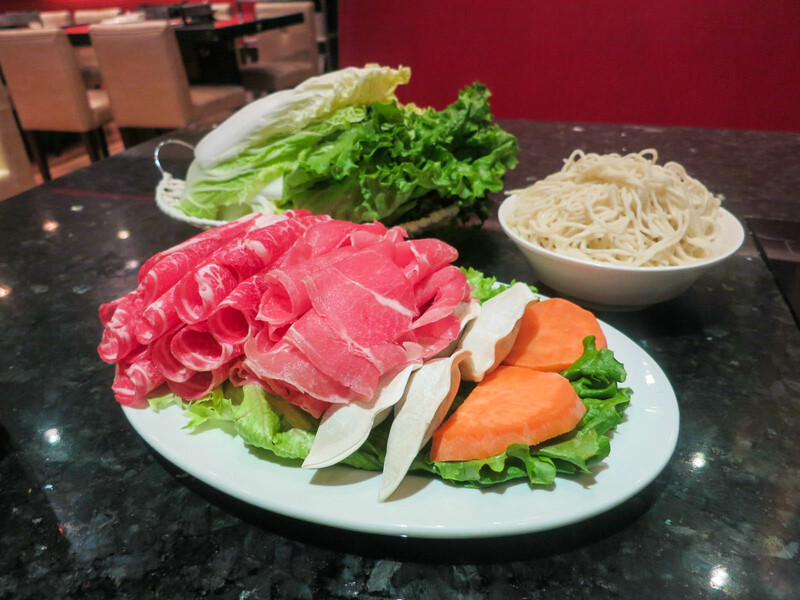 Little Sheep Mongolian Hot Pot has opened up another location in the last couple of months on West Broadway. This location has an all you can eat menu, but they also have lunch specials with individual sized hot pots. I came here one day for lunch while I was working in the area to try one of their individual pots. I just stuck with the original broth for my pot. If you want to pay more you can get a combo broth. I actually love having my own mini hot pot because I am a control freak and then I can cook whatever I want when I want. The original broth was surprisingly flavourful despite being light. They have several different presets for the mini hot pots. I went with the meat lovers one, which came with slices of beef and lamb, dumplings, yam, a plate of veggies, and udon. I was really impressed with the quantity of food. I can eat a lot, and I was completely stuffed when I finished. The mini sets are such great value you don’t even need all you can eat. The beef and lamb slices were very tender and tasted great. I actually love eating veggies in hot pot because they just soak up all of the broth flavour, so I was happy that there was a massive plate of them. 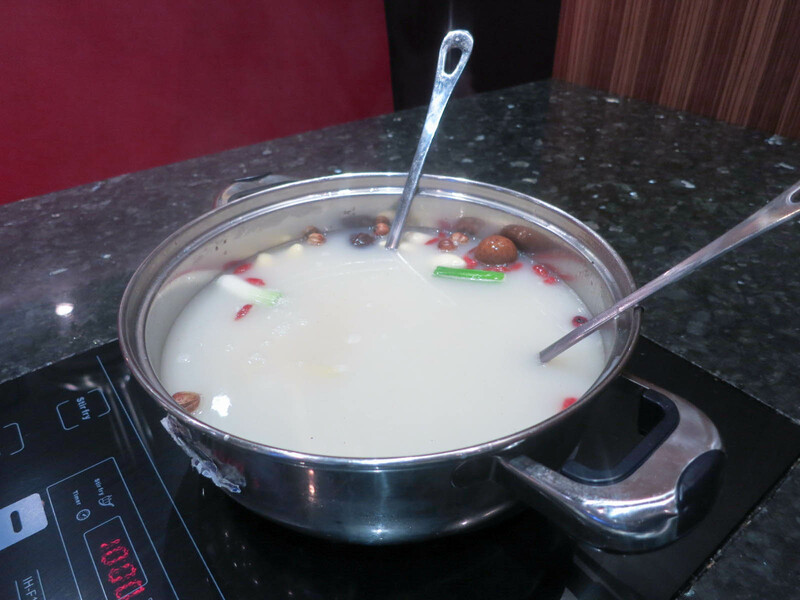 I enjoyed my meal at Little Sheep Mongolian Hot Pot and I would definitely come back for lunch again. The lunch sets are around $12, which is a fraction of the price of all you can eat, but they give you enough food where you will leave full and satisfied. I also love that Little Sheep has a sauce bar that is included in the price, so you can go up and make your own sauce creation for dipping. Yes, for a great mini hot pot lunch deal. Why does the original broth look milky/creamy?